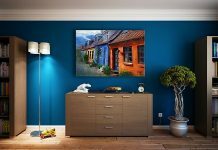 Roohome.com – Are you looking for home design references? This is your time to choose which kind of design you want to apply at home. If you typical people who like simple design but looks trendy, the modern minimalist home design here is a good option for you. 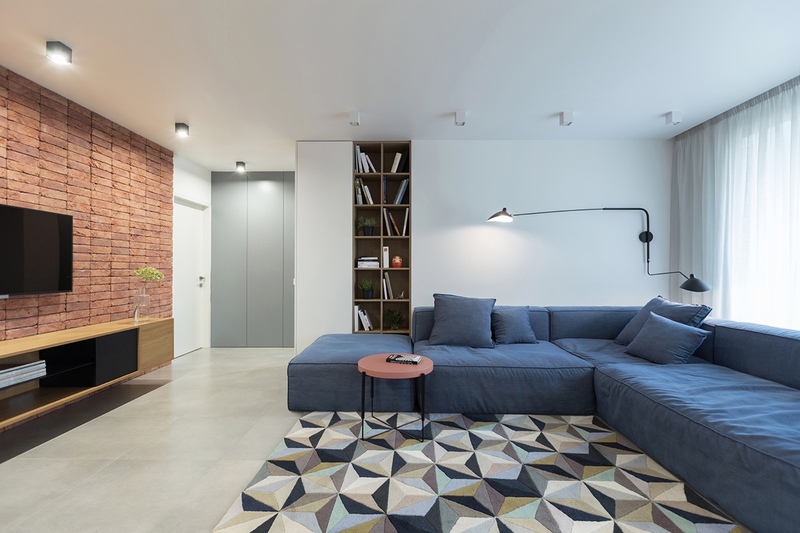 The home designers exposed brick and wooden for the wall accent and furniture. 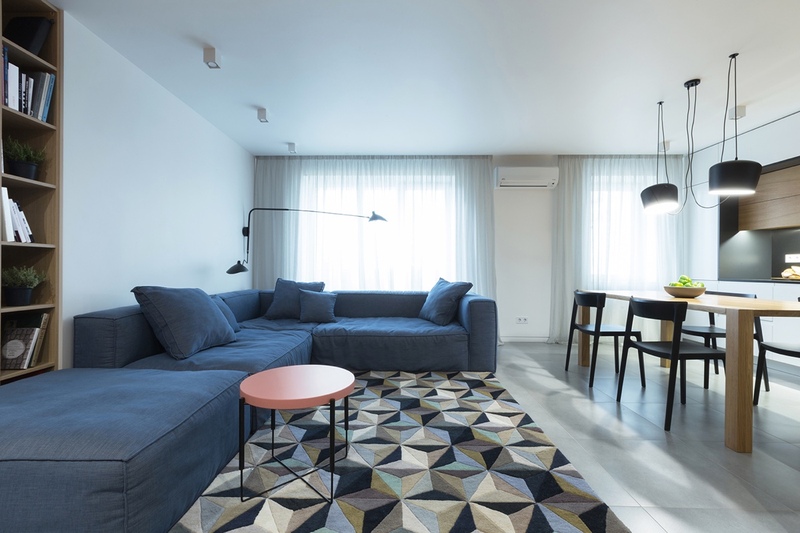 A simple and contemporary layout that appeared to this home gives a different ambiance. 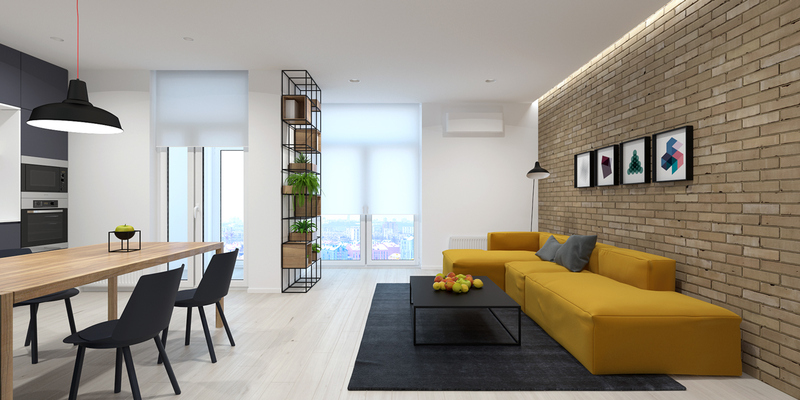 Let’s see the modern minimalist style design for a home here! 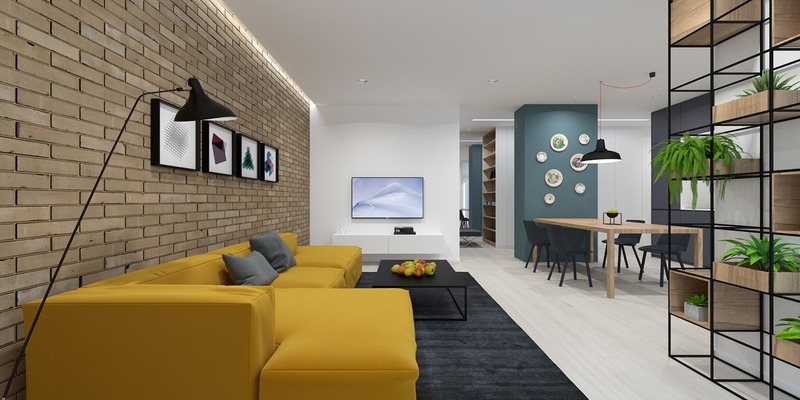 An open plan concept design is suitable to choose to make your home looks awesome. Decorated with brick and wooden make this home looks so stylistic. The unique mustard-colored sofa will make your living perfect. 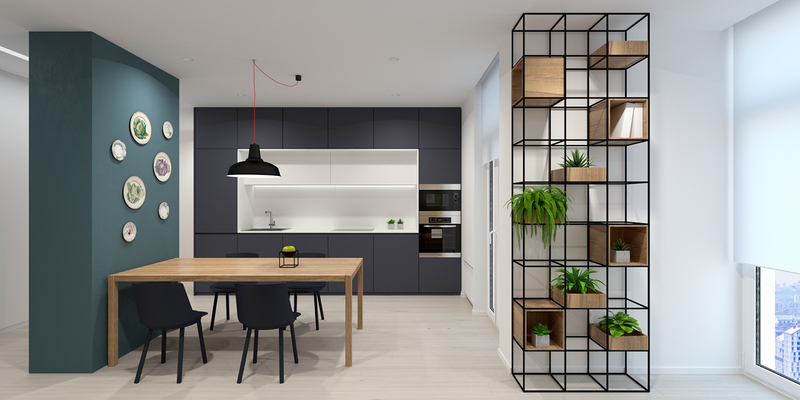 A greenery decoration or natural display which put on the unique grid shelves for decorative plants here will capture the attention. 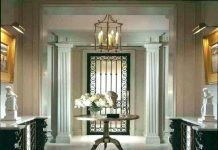 The use of dining room pendants is popular but practical. Adjust with the display which made from the plate as the decoration on the wall, it will reinforce a modernity impression inside. Dark gray cabinets combine with a white color very compatible to add in your kitchen. 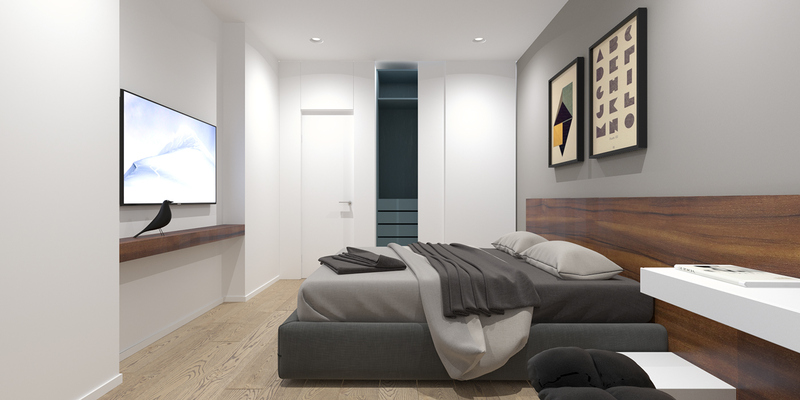 Modern minimalist bedroom with a natural wooden accent will perfect to be used for the wall accent and flooring material in your modern minimalist home design. Simple display with black frame is suitable to perfecting the room. 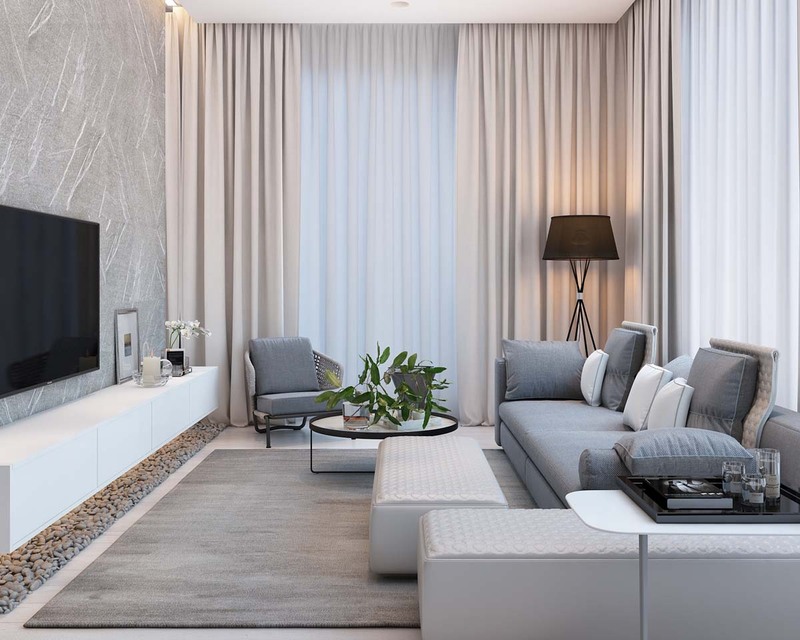 A white color and soft gray are matching to apply for the room. 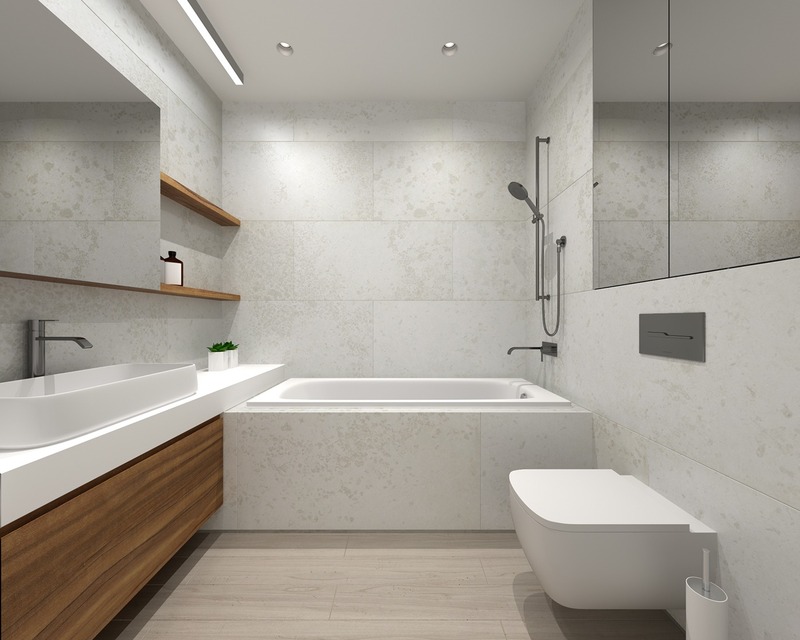 Simple modern bathroom with a white stone and soft wooden accent are matching to adjust inside. Do not need much of decoration inside, add simple small rack which you can use to put your bathroom stuff. Open living room concept is suitable to make your modern minimalist home design perfect. Besides that, you can save the rest of your room. 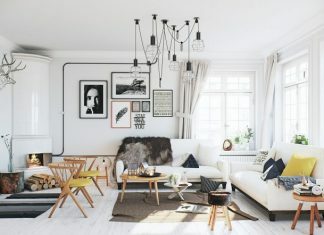 Choosing a white color as the main color for this home. Red brick wall accent may you use for decorating your wall. A blue navy sofa and colorful rug are suitable to make your living room perfect. Long book shelves on the corner side will make this space looks awesome. 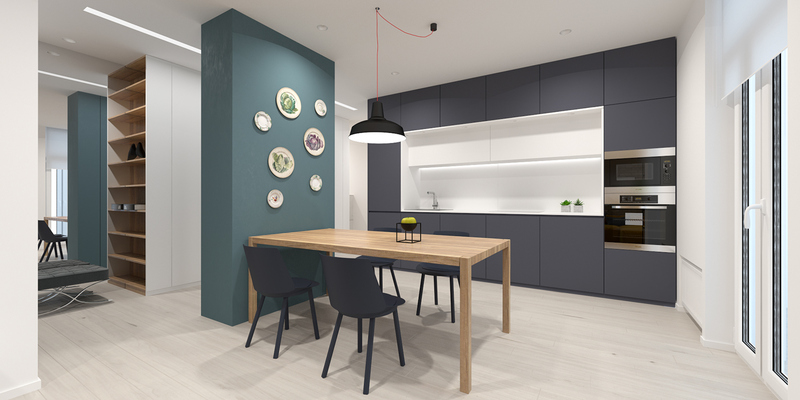 Multiple pendant lights of the hanging lamp are suitable to bring out a perfect light inside. 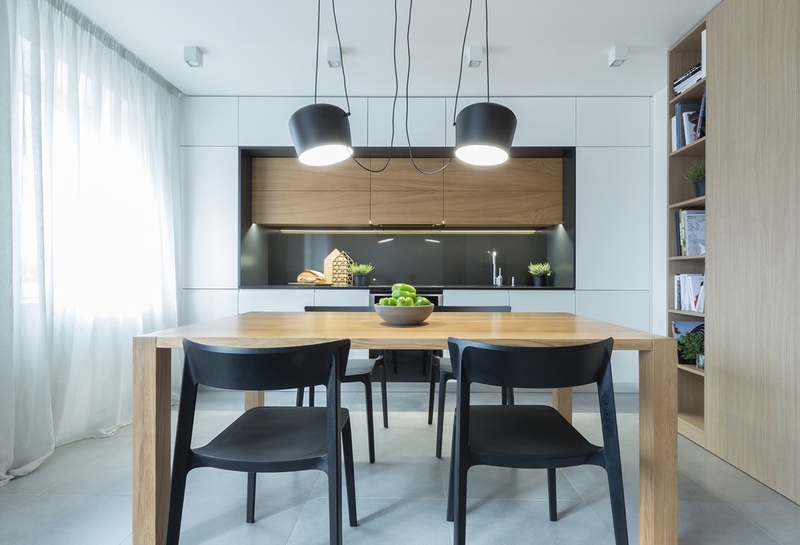 Minimalist kitchen design with a wooden accent very fit to apply in modern minimalist style design for a home here. Black chairs and lights are suitable to support the design. 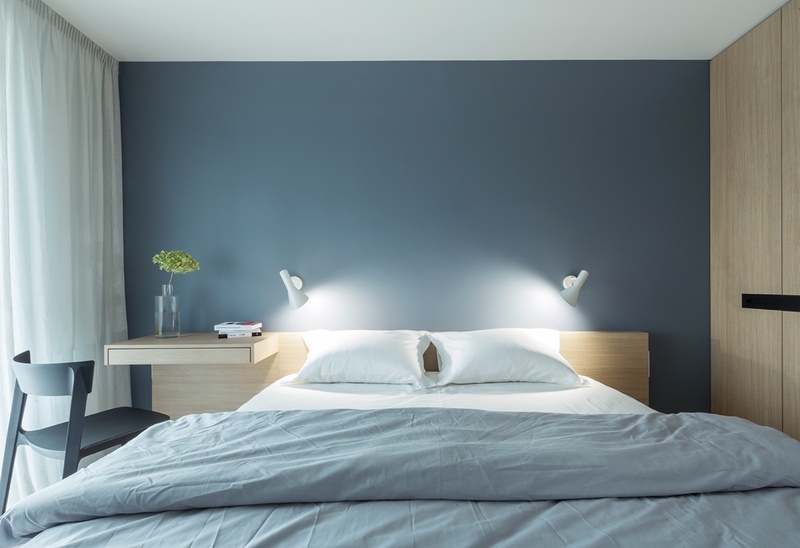 Minimalist white bedroom with a mustard blue color combination like the following picture here will bring out a coziness and calm ambiance inside. 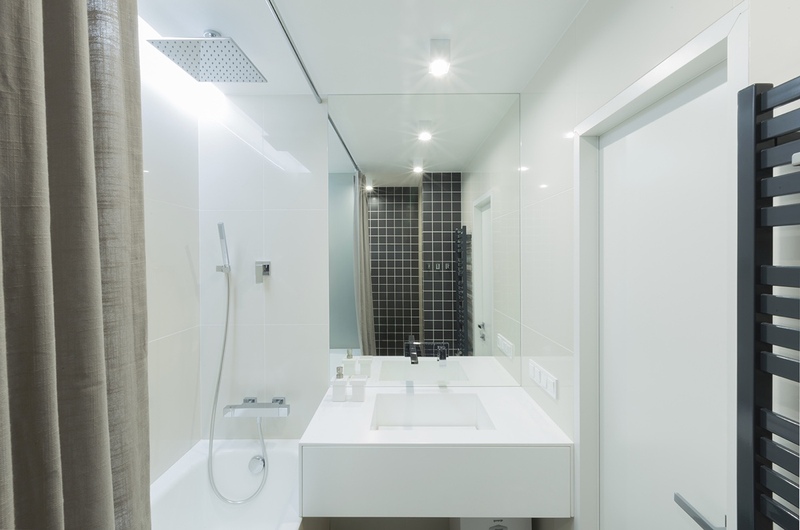 Small white bathroom with a minimalist design makes your home more complete. 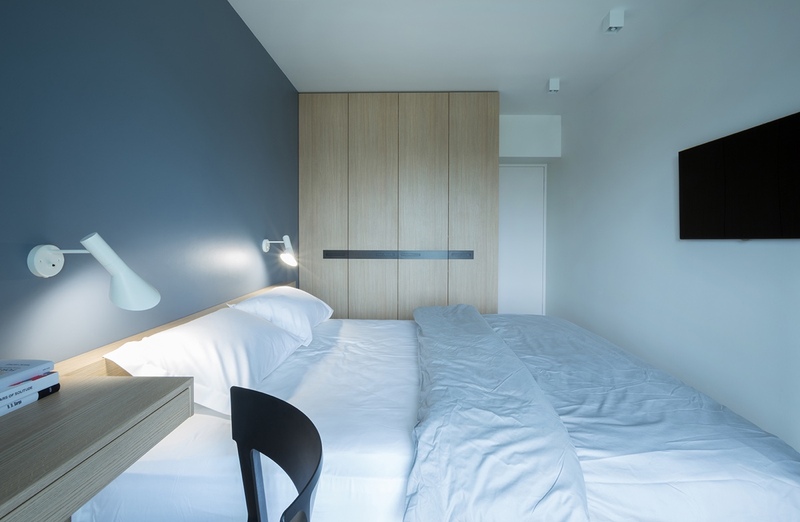 So, which modern minimalist home design that you prefer based on two designs that showed above?